Do you wish your prescription drugs were cheaper to fill? In a recent Kaiser Health Survey, 80% of Americans said the costs associated with prescription medications were “unreasonable,” and that the government is “not doing enough” to help remedy the situation by reducing drug costs. What’s even scarier is that 1 in 4 people reported having trouble simply affording their medications. Yet just north of the US border in Canada, the picture is completely different. A whopping 86.2% of Canadian citizens surveyed admitted that they would rather strengthen their public healthcare system instead of converting it to a for-profit one like the US has. That’s probably because 85.2% of people in Canada over the age of 15 are “very satisfied” or “somewhat satisfied” with their healthcare system. So why are these views so different between these two neighboring countries? The healthcare system of each country is at the root of the matter, which is exactly what we’ll discuss here. While we won’t get into politics or any debates, we’ll show you why it’s cheaper in Canada to buy prescription drugs than it is in the US — and what you can do about it. Let’s start by understanding the sheer magnitude of the situation to put everything in perspective first. If you thought the price of your prescription medications is already too high, you may be surprised to learn the real price difference when compared to those in Canada is even more astronomical. A prescription of three Advair Diskus sells for roughly $1,227 in the United States. In Canada, the same drug sells for $450.00 for 3 Diskus — a difference of over $750. Celebrex sells for $18 per pill in the US. A Canadian pharmacy would only charge around $1.64 per dose. Eliquis also has a striking price difference with an average cost of $424.65 for 60 tablets in the US and just $150 for the same amount in Canada. The blood sugar medication Januvia has a price tag of $435.14 for 30 tablets in the US and only $140 in Canada — an almost $300 upcharge. These medications are used to treat a variety of different conditions — such as asthma, arthritis, strokes, and diabetes — which shows these high prices aren’t just affecting one sector of prescription medicines or a small slice of the population. So the question then becomes: Why are the prices for prescription medications so outrageous in the United States? It all comes down to one big difference in the way our healthcare is managed. You’re probably already familiar with how health care works in the states. Individuals pay a monthly premium to a private healthcare insurance provider in return for a certain amount of medical coverage. Each of these choices will determine how expensive your monthly premium will be. Medicare, the federal health insurance program, is generally used instead of other private healthcare plans for those over 65, people with disabilities, and anyone else who is retired and on a fixed income. In both cases, the amount you pay for coverage is determined by the level of coverage you can afford. However, this is not the case here in Canada where drugs and important medical services are covered by a universal healthcare system. With this federal system, our government works on behalf of its citizens to set realistic prices for prescriptions and other healthcare services. So when a drug manufacturer tries to pitch a prescription that’s too expensive, our drug review agency, known as the Patented Medicine Prices Review Board (PMPRB), will refuse its approval for sale until the price comes down. Not only that, the same board also informs Canadian citizens of upcoming prescription trends so they’re not hit with unexpected price increases out of nowhere. The PMPRB also regularly checks these prices to ensure they’re still at a fair market value. They even compare these prices to those in other countries to gauge whether it is fair relative throughout the world, not just locally in Canada and compared to the US. Since many drug manufacturers don’t want to lose Canada’s business, they generally work out lower rates to sell the same medications you’re buying in America for much less across the border. This system is similar to how Medicare operates since the federal government runs it — but it’s very different in application due to its cost structure. Instead of lobbying on behalf of individuals, Medicare is forbidden by law to interfere with any negotiations between drug makers and insurance companies. And once a price is set, Medicare tacks on another 6% to help offset the reimbursement costs to doctors which means individuals are responsible for about 20% of the cost of the medication. So if a medicine ends up being around $1,000 per prescription, a Medicare payee would be responsible for $200 if they don’t have any other coverage options. And this isn’t the only aspect hurting Americans. Canada’s buying power also works in your favor too. 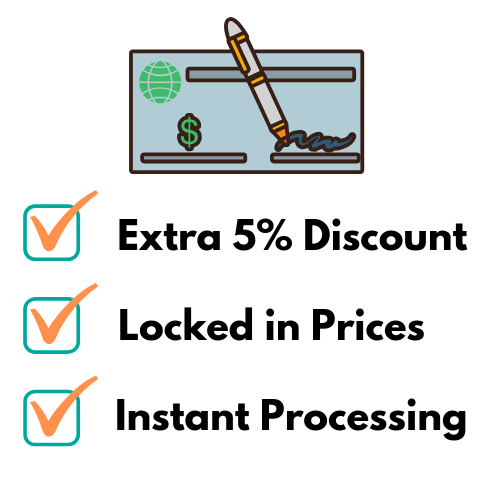 In the states, insurance providers, hospitals, and other medical facilities all compete with drug manufacturers to come up with a rate that’s affordable to their needs. This means the price varies based on a company’s buying power. So a small hospital in a rural part of Alabama may pay more than a hospital in New York pays, for example, simply because their volume needs are much lower. And just like bulk discount at the grocery store, prescription medications work the same way here. In Canada, drug manufacturers only have to negotiate with a smaller pool: the government. Since they don’t have as much flexibility with the price, they either agree to the Canadian government’s terms or their product loses out on an entire population, which most manufacturers wouldn’t dare to do. 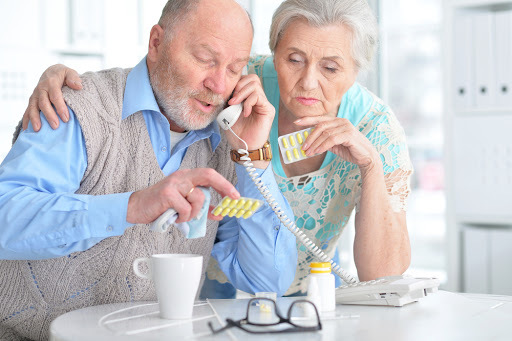 It’s a combination of these reasons and more which are to blame for why prescription medications in the states are exceptionally high even on Medicare. 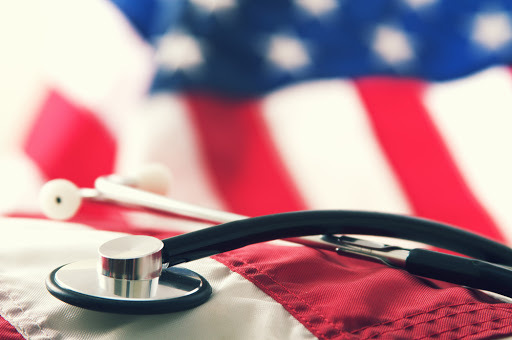 While it may take several years for the United States to adopt a similar system of universal healthcare (a conversation for a different day), you don’t have to wait that long. As a US citizen, you can take advantage of a small portion of this universal healthcare by ordering your prescription medications from an online Canadian pharmacy. We’re not suggesting you jump in your car and cross the border for free healthcare, however, you can do something else to save money. 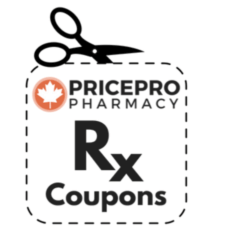 By ordering your prescription medications online, through a trusted Canadian pharmacy, you’ll be able to save up to 80% off — even before any RX coupons are applied to your order. Current estimates report that as many as 5 million Americans have already purchased drugs outside of the United States. 86% of people surveyed want drug manufacturers to show the breakdown of their drug prices. 82% want Medicare to be able to negotiate for lower prices. 71% would like to be able to buy their prescription medications from Canada. Buying prescriptions across the border isn’t the only international health trend growing in popularity though. Many people are also physically traveling to other countries to seek medical treatment based on these internationally low medical costs. The term medical tourism means exactly what it sounds like. Medical tourism is when people travel from their home country to another to receive medical, dental, and/or surgical procedures and treatments. People embark on these medical journeys for different reasons. Some are looking for more affordable health care options while others need to receive specialized treatments they may not have access to or be able to afford in their homeland. It’s estimated that between 14-16 million people cross international borders for medical tourism purposes. And the average cost per medical tourism visit ranges from $3,800 to $6,000. Roughly 1.4 million Americans will travel each year for medical tourism and the industry is predicted to grow by an average of 15-25% per year. It’s clear to see international borders are not stopping people from receiving the medical care they need at a price they can afford. But you don’t have to leave your home to save money when you buy prescription drugs from Canada online. Are You Ready to Save on Your Prescriptions? 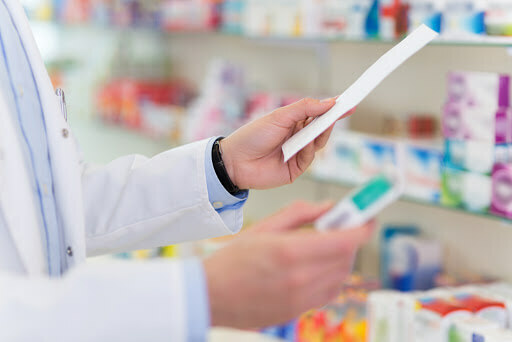 While we can’t help you with medical tourism, we can offer you lower rates on the same prescription medications you’ll find at your local pharmacy in the states. Our rates are up to 80% off for certain prescriptions — even compared to prices you’ll pay after Medicare. Browse our complete list of medications today to see what’s available with a prescription to US citizens just like you.